Posted on February 1, 2016 Author Intern NinWhy So Serious? 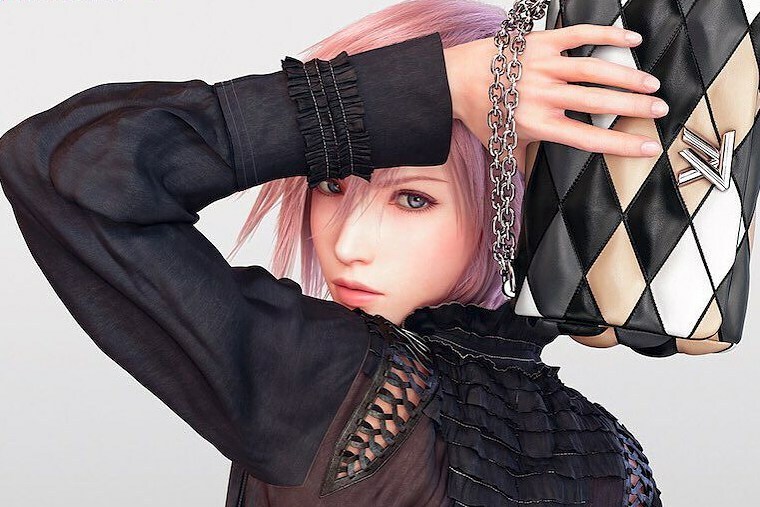 Our favourite Heroine from the highly popular cult game Final Fantasty XIII, Lightning, has been spotted carrying a LV bag! What’s with the sudden shift from a strong & tough image to a more feminine side? Is she going on a date with someone – or in essense, breaking the hearts of thousands of fans? 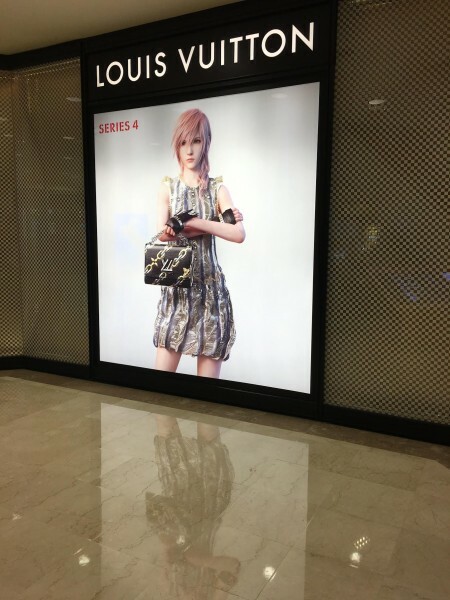 Well, we must say that these pictures of Lighning definitely let us see a side of her we have never known… That she digs LV bags. Fret not! 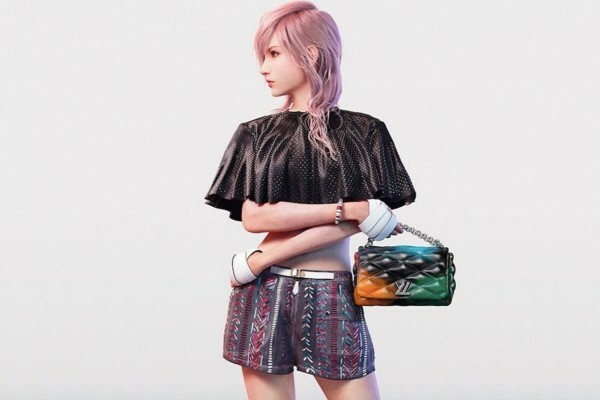 It has been revealed that Lightning is the new face of the French fashion label Louis Vuitton Spring-Summer 2016 Collection. Many of us are lusting over LV due to it’s classic legendary mongogram design. 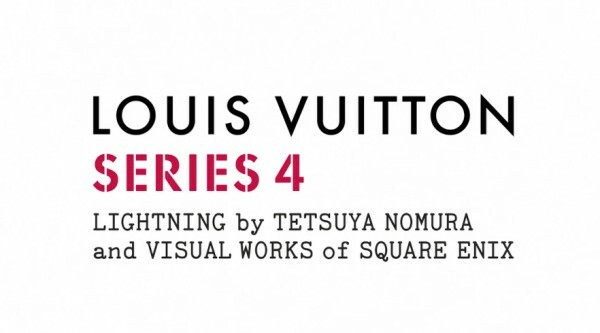 Yet for the upcoming collection, SERIES 4, LV is doing something more innovative – taking cues from anime and video games and centering around the theme of exploring virtual reality. 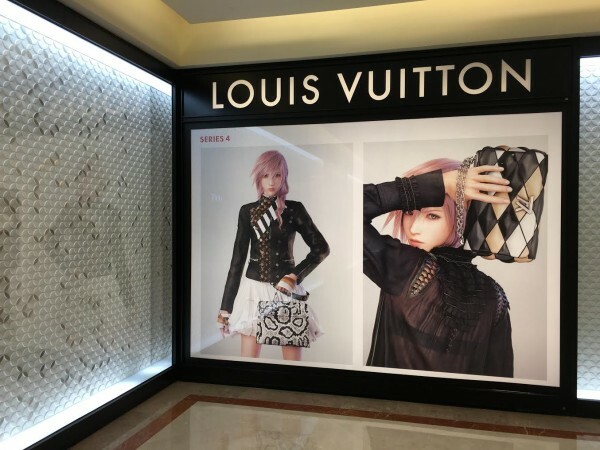 Louis Vuitton’s creative director Nicolas Ghesquière thus collaborated with Square Enix (the developer of Final Fantasy) and Tetsuya Nomura (the designer of Lightning), coming up with designs that successfully merged fantasy and reality.